At Weston Contact Lens Institute, questions such as this are often what we hear from patients during initial consultations. 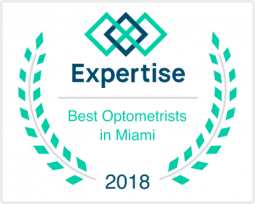 Our eye doctor practice in Weston is primarily focused on the designing and fitting of specialty contact lenses. In other words, we work with patients who are not getting the vision correction, the comfort, or the other results they are seeking from their current standard contact lenses. Specialty lenses are, in the simplest of terms, lenses that are custom designed for the unique shape of each individual cornea. What Kinds of Specialty Lenses Are There? 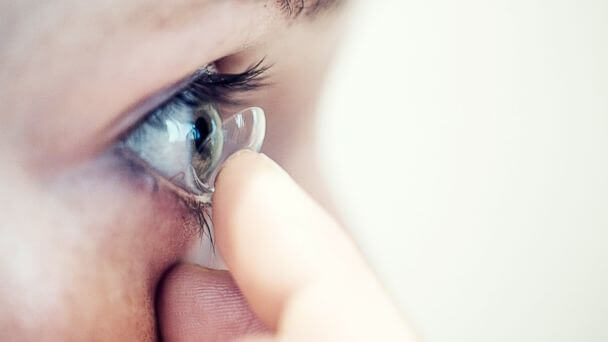 Terms such as “conventional lenses” or “standard lenses” can be a bit confusing, seeing as all contact lenses need to be fitted to suit the eyes of the patient. Every person’s eye has a slightly different shape, and contact lenses need to be crafted to suit that shape. Specialty contact lenses are useful especially in cases where fitting a lens to suit the eye, or the needs of the patient is more difficult than usual. One example is the scleral lens. Scleral lenses are used in situations where irregularities in the shape of the cornea make it virtually impossible to fit an effective standard lens. Rather than sitting on the cornea, scleral lenses rest on the white of the eye (the sclera) and then vault over the cornea. The space between the lens and the ocular surface is filled with a saline solution, which both hydrates the eye and effectively renders corneal irregularities irrelevant. Orthokeratology lenses: These contacts are worn at night rather than during the day. They gently reshape the cornea, providing clear daytime vision for patients who struggle with myopia, hyperopia, or astigmatism. Cosmetic lenses: You can use cosmetic contact lenses for a range of different purposes, from changing the color of an eye to hiding injuries or disfigurements to the eye. Rigid gas permeable lenses: Rigid gas permeable lenses, or RGP lenses, have a rigid design that is distinctly different from the soft design of traditional lenses. RGP lenses can provide sharper vision correction and are more durable than soft lenses, offer bifocal or multifocal design options, and are better for conditions like keratoconus, in which soft lenses cannot adequately correct vision. At Weston Contact Lens Institute, we often work with all three of these lens types, among other varieties of specialty lenses. If you are curious to know more about the types of lenses we offer, feel free to get in touch. Why You Need an Appointment to Get Specialty Lenses? Do any of the specialty lenses described above sound like they might resolve your vision problems? If so, the first step is to schedule an appointment. Only with a comprehensive eye exam can an eye doctor determine the best lens type to suit your needs. This process can tell us a lot about your eye health, including the shape and health of your cornea, the ability of your tear ducts to produce tears, the size of the pupil, and your eyeglass prescription. All these pieces of information are crucial for fitting lenses to suit your eyes and needs. Whether you’re a candidate for a specialty lens or someone who would do just fine with traditional soft lenses, the evaluation and fitting process still matters. Schedule your appointment at Weston Contact Lens Institute today to get started.